3003 aluminum expanded metal comes from 16 gauge (0.050" thick) sheet metal that is expanded. 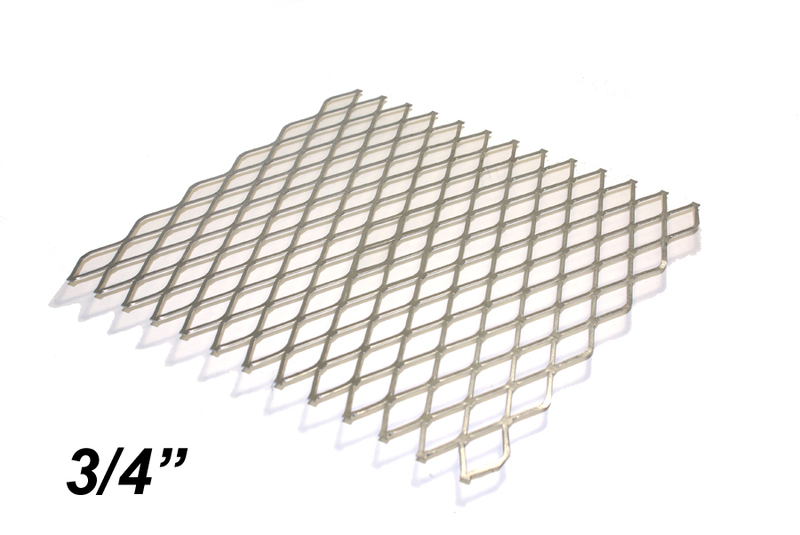 We stock 3003 aluminum expanded metal in 300 to 500 foot coils. The 3003 aluminum expanded metal is thin enough to be rolled by hand and pieces measuring over 4' in length will typically be rolled up for shipping purposes. With our 3003 aluminum expanded metal the long way of the diamond runs along the width. We can typically cut pieces that are 10' or shorter to size along the width, but you will need to call a sales representative at 877-484-0088 to discuss that option. Short way of diamond opening = ~ 5/16"
Long of diamond opening = ~7/8"
Common uses for 16 gauge 3003 aluminum expanded metal include architectural applications, chimney caps, animal guards, various types of filtration, concrete reinforcement, and used commonly in conjunction with sheet metal projects. 3003 aluminum expanded metal would not be recommended for uses in grills, trailers, catwalks etc. since it isn't strong enough for those applications. 3003 aluminum is an alloy with 1.2% manganese to improve the strength over pure aluminum. 3003 aluminum is a good general purpose aluminum with excellent corrosion resistance, and has many uses including trim, building equipment, trailer manufacturing, vehicle components, sign blanks, siding, and cooking utensils among many other things. 3003 aluminum is also easy to bend, form and weld. 3003 aluminum expanded metal will not attract a magnet. 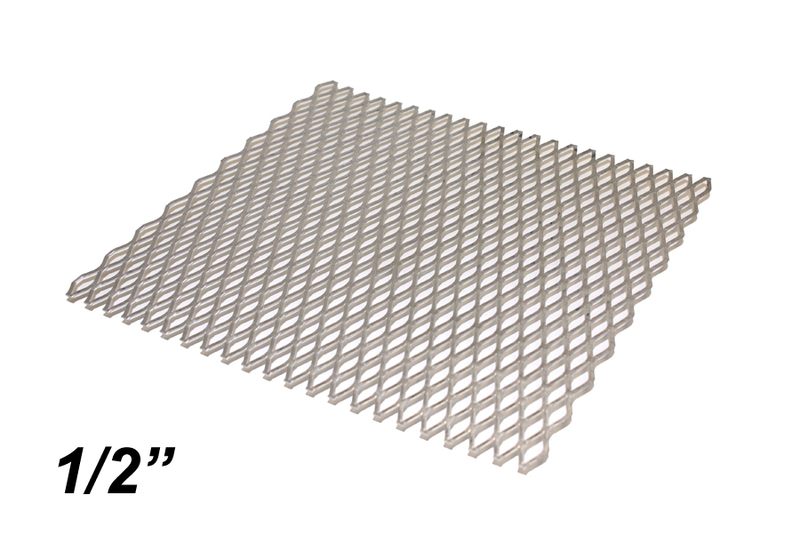 If you need expanded metal that attracts a magnet, the galvanized expanded metal would be the choice. Select One.050" Thick, 1/2" .050" Thick, 3/4"